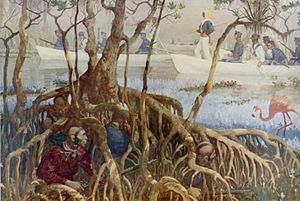 The Seminole Wars, (1817-18, 1835-42, 1855-58), three conflicts between the United States and the Seminole Indians of Florida in the period before the American Civil War, that ultimately resulted in the opening of the Seminole's desirable land for white exploitation and settlement. The First Seminole War (1817-18) began over attempts by U.S. authorities to recapture runaway black slaves living among Seminole bands. 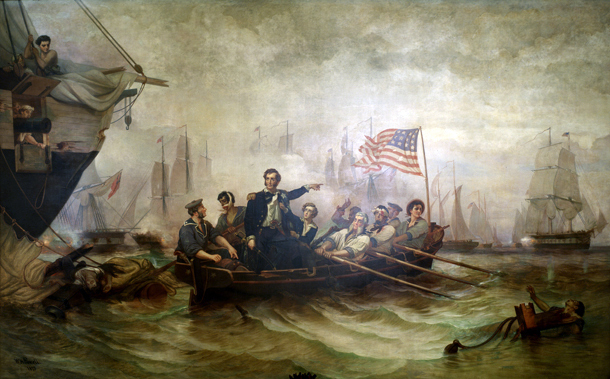 Under General Andrew Jackson, U.S. military forces invaded the area, scattering the villagers, burning their towns, and seizing Spanish-held Pensacola and St. Marks. As a result, in 1819 Spain was induced to cede its Florida territory under the terms of the Transcontinental Treaty. The Third Seminole War (1855-58) resulted from renewed efforts to track down the Seminole remnant remaining in Florida. It caused little bloodshed and ended with the United States paying the most resistant band of refugees to go West. The Crimean War, also known in Russia as the Oriental War (Russian: ????????? ???? ?, Vostochnaya Voina) (October 1853-February 1856) was fought between the Russian Empire on one side and an alliance of France, the United Kingdom, the Kingdom of Sardinia, and the Ottoman Empire on the other. The war was part of a long-running contest between the major European powers for influence over territories of the declining Ottoman Empire. Most of the conflict took place on the Crimean Peninsula involving the long running siege of the port of Sebastopol, major land battles at the Alma (River), Balaclava & Inkerman with additional actions occurring in western Turkey and the Baltic Sea region. 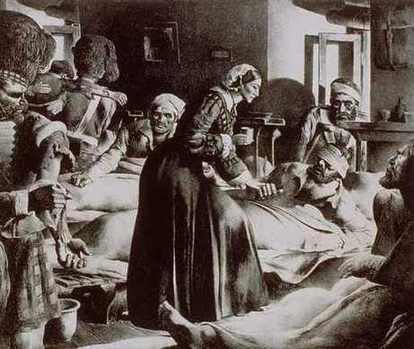 The Crimean War is sometimes considered to be the first "modern" conflict and "introduced technical changes which affected the future course of warfare." The Mexican-American War was an armed conflict between the United States and Mexico from 1846 to 1848 in the wake of the 1845 U.S. annexation of Texas. Mexico claimed ownership of Texas as a breakaway province and refused to recognize the secession and subsequent military victory by Texas in 1836. 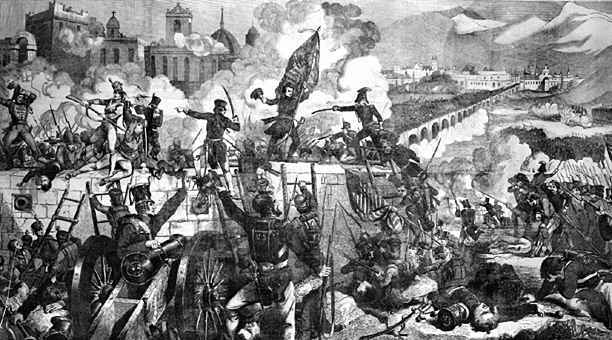 In the U.S. the conflict is often referred to simply as the Mexican War and infrequently as the U.S.-Mexican War. In Mexico, terms for it include (primera) Intervencion estadounidense en Mexico ((first) American intervention in Mexico), Intervencion estadounidense en Mexico (American Invasion of Mexico), and Guerra del 47 (The War of '47). The most important consequences of the war for the United States were the Mexican terms of surrender under the Treaty of Guadalupe Hidalgo, in which the Mexican territories of Alta California and Santa Fe de Nuevo Mexico were ceded to the United States. In Mexico, the enormous loss of territory following the war encouraged its government to enact policies to colonize its remaining northern territories as a hedge against further losses. In addition the Rio Grande became the boundary between Texas and Mexico, and Mexico never again claimed ownership of Texas. 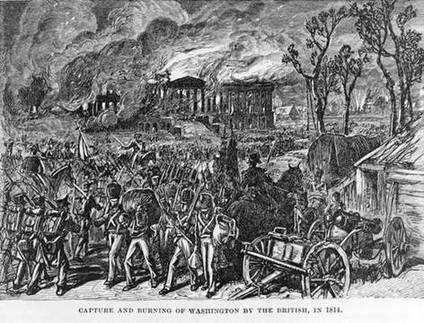 There were several immediate stated causes for the U.S. declaration of war: first, a series of trade restrictions introduced by Britain to impede American trade with France, a country with which Britain was at war (the U.S. contested these restrictions as illegal under international law);second, the impressment (forced recruitment) of U.S. citizens into the Royal Navy; third, the British military support for American Indians who were offering armed resistance to the expansion of the American frontier to the Northwest. 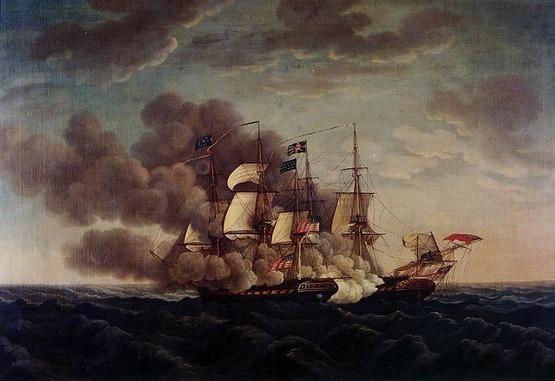 An unstated but powerful motivation for the Americans was the desire to uphold national honor in the face of what they considered to be British insults (such as the Chesapeake affair). e-Mail us so that we might fix or remove it. The Napoleonic Wars were a series of conflicts involving Napoleon's French Empire and changing sets of European allies and opposing coalitions that ran from 1803 to 1815. As a continuation of the wars sparked by the French Revolution of 1789, they revolutionized European armies and played out on an unprecedented scale, mainly due to the application of modern mass conscription. French power rose quickly, conquering most of Europe, but collapsed rapidly after France's disastrous invasion of Russia in 1812. Napoleon's empire ultimately suffered complete military defeat resulting in the restoration of the Bourbon monarchy in France. The wars resulted in the dissolution of the Holy Roman Empire. Meanwhile the Spanish Empire began to unravel as French occupation of Spain weakened Spain's hold over its colonies, providing an opening for nationalist revolutions in Latin America. As a direct result of the Napoleonic wars the British Empire became the foremost world power for the next century. No consensus exists as to when the French Revolutionary Wars ended and the Napoleonic Wars began. Possible dates include 9 November 1799, when Bonaparte seized power in France with the coup of 18 Brumaire; 18 May 1803, when a renewed declaration of war between Britain and France ended the only period of peace in Europe between 1792 and 1814; and 2 December 1804, when Bonaparte crowned himself Emperor.